Kaarat is a brand new song by Havoc Brothers after the single – Pain Killer song. This song promo is released in Youtube channel on 14 July 2018. Sung by Havoc Mathan and Havoc Naven meanwhile the Kaarat song music composed by none other the Rabbit Mac. The Kaarat lyrics penned by Havoc Mathan and the music video directed by Praatib Bascaran from S.O.G Production. This Kaarat music video featuring Havoc Mathan, Havoc Naven and a new female face which cast from the Havoc Brothers fan base. 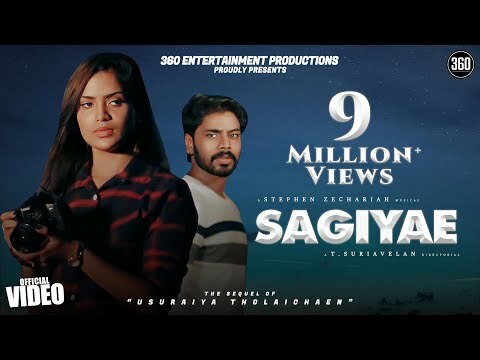 This song promo received a lot of good comments and positive feedback among viewers in Youtube and already reach up to 300K views and over 2000 comments. This Kaarat Song Lyrics – Havoc Brothers is contributed Vimal. Do you like Kaarat Song Lyrics – Havoc Brothers 2018? Let us know in comment section below. Follow ReTamil for exclusive news, up and coming music trends, latest music releases, in-depth coverage on artists and much more. Like ReTamil on Facebook or Google+ to keep up with what’s new and exciting in homegrown and international music. Indian girls are to be blamed for everything?